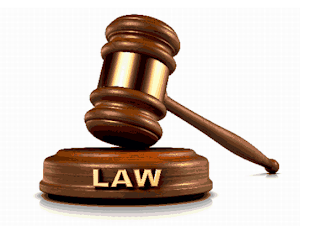 More than 500 prospective Nigerian law students who are expected to commence the 2013/2014 law school programme by the end of October may boycott the programme. Their reason for the likely boycott is hinged on posting of students to campuses under the state of emergency, against their choices by the authorities of the school. The affected students accused the school authorities of insensitivity to security of life saying the campuses under state of emergency ought to have been suspended given the terrible situation of insecurity in those states. According to some of the students who spoke to our reporter on condition of anonymity, the law school authorities posted them to Yola and Kano campuses without minding the security implications involved. They expressed serious fear over the rampant insecurity in the affected states and called on the Ministries of Education and Justice as well as the Presidency to prevail on the law school authorities to repost them to secure areas before it becomes too late. Most of the prospective law students affected by the posting had chosen four law school campuses according to their preferences as provided in the admission form they filled to indicate their intention for participating in the 2013/2014 programme. When the admission list was published last Sunday however, it became clear that the Law school authorities did not consider the voluntary choices of the prospective students before posting them to those dangerous areas. Traditionally, prospective Law students are entitled to four campuses of their choice in order of preference and these are often filled in the application form long before postings are done. Strangely, however, most of those posted to the state of emergency areas this year did not choose any of those areas and none of their preferred areas was considered in the posting exercise. Unless an urgent action is taken by the government to rectify the posting situation most of the affected students may not go to law school this year a situation that is capable of aggravating the already tensed education condition in the country. Meanwhile, the enrolment for law school this year is lower than those of the previous years due to the ongoing industrial strike embarked upon by the Association of University Unions (ASUU) which prevented most final year law students from graduating and meeting the schedule of law school this year. Following its establishment by the federal government in 1962, the Nigerian Law School (NLS) was situated in the former federal capital of Lagos until 1996 when the late General Sani Abacha regime moved it to the new federal capital of Abuja. Subsequently, NLS was decentralized thereby paving way for six campuses with one located in each of the six geopolitical zones of the country. The campuses are located in Kano, Northwest; Yola, Northeast; Abuja, North-Central and Lagos, Southwest. Others are Enugu, Southeast and Yenogua, South-south. Two of the geopolitical zones (Northwest and Northeast) are now affected by the insecurity engendered Boko Haram insurgents who claim to be fighting for the obliteration of western education in Nigeria. The current Director-General of NLS, Dr. Tahir Maman, who is said to have hailed from Yola, Adamawa State assumed office in 2005.